Climber of Mountains, Lover of Nature, Adventurer, Seeker and Day-dreamer. But my greatest passion is to bring the lessons I receive from Mother Nature and kindred teachers into the hearts & Souls of my students, my Sangha, through a unique blend of Modern-Life Inquiry Coaching complimented with the ancient philosophies of Yoga and gentle Asana. I am a perpetual student in this experience called “life” and this practice called “Yoga”. Like most people, my greatest lessons have occurred through personal experiences throughout my entire life. But it wasn’t until much later in life that I learned to listen to the stories these experiences were telling me. I was raised in a wonderful, loving home. My parents were hard-working, loyal and completely dedicated to their kids and to their marriage. It was early in my childhood my love for the outdoors began with our weekends filled with hiking & camping. It was a simple life and it was perfect. I had my first child at 25. A beautiful baby girl. In the midst of a tumultuous marriage, she was my shining ray of hope. Several years passed and I found myself spiraling deeper into the darkness of a physically, emotionally and mentally abusive relationship with not just one now, but two little girls. This abuser that had taken control of not only my life but also my self-esteem. I felt lost. With a deep desire to heal myself by helping others I enrolled into massage therapy school, I became passionate about my path of helping others and began what became a long, successful career as a holistic body-worker. Fast forward to one cold night and a dangerously heated argument, I looked into the eyes of my beautiful baby girls who were looking back at me, and for the first time I saw God. In that instant I knew I did not want them to ever think this is what loved looked like. They deserved better…and so did I. I placed them in the car, drove away and never looked back. A couple years passed and love came knocking on my door. No matter how much I tried to push it away, it knocked harder. I surrendered and sadly, soon after, I became completely and utterly shattered. In a matter of one day this beautiful human that taught me how to love again was gone due to a tragic accident. There wasn't a single piece of me that was held together. I had felt pain before but this was much different. This pain came from the depths of my soul, rocked me to my core and changed everything about me. This pain is called Grief. I suffered in silence with PTSD and depression. I was afraid of the person I was becoming, hiding my pain from others and pushing it down deeper into my being. I continued to commit to healing others through my work with the hopes I would eventually heal myself as well. My “yoga moment” arrived during my pursuit of running from the darkness I felt inside. Yoga quickly became a very fulfilling physical practice for me. Just a few short years after I began practicing yoga I began to experience a deep connection to my Self. I realized that Yoga was the spiritual connection I had longed for. It was on my mat that I met my Soul for the first time and I knew at that point my yoga practice was going to change my life. At some point in my life I knew I was going to be called to teach. Years of practice, countless hours of study and brave personal healing have led me towards deep transformation and paved my way towards my purpose. 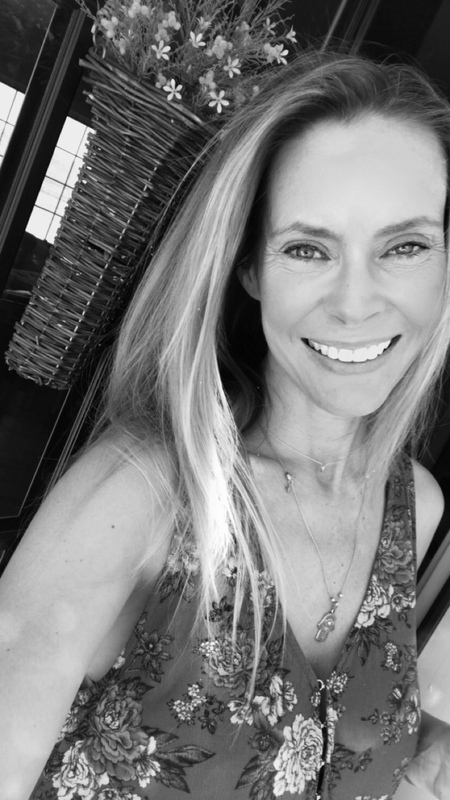 Combining my years of experience as a body-worker, my continuous studies of the ancient practice of Yoga, my passion to guide people down a path of deeper connection and my love for nature to give you, the seeker, a unique and healing experience.